Eureka Springs is one of the top 5 wedding destinations in the country…and with good reason. Eureka West offers beautiful nuptial settings with a large variety of lodging and event facilities. If you are looking for an outdoor wedding, you can have a spectacular outdoor ceremony, especially at sunset, at Circle of Light overlooking Beaver Lake. This chapel offers three settings with services/receptions up to 65 people. The Sky Ridge Pavilion offers the largest event facility in Eureka Springs West, and Blue Spring is a popular outdoor wedding location with its gorgeous park-like setting. The area known as "Eureka Springs West" is located just a few scenic miles west of historic downtown Eureka Springs, Arkansas. Enjoy the solitude of nature, discover Beaver Lake, canoe the famed White River, visit Thorncrown Chapel, Blue Spring, and hike Lake Leatherwood in this nature lovers paradise in the heart of the Ozarks. Explore Beaver Lake from the water. Rent a fishing or pontoon boat from Starkey Marina. The newly renovated, family owned marina has an experienced crew ready to help you get out on the water. 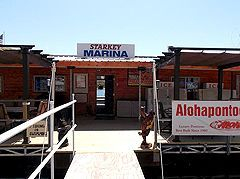 Besides boat services and rentals, Starkey Marina offers fresh made pizza, cold drinks and covered tables on a spacious deck perfect for relaxing with the whole family. Starkey Marina is located just 12 miles from downtown Eureka Springs and is close to Beaver Dam, Starkey Park and camping and the Belle of the Ozarks. The White River is a nature lover's delight during every season. Towering limestone bluffs, deep caves, and numerous natural springs afford shutterbugs and nature lovers’ hours of enjoyment throughout the year. Can-U-Canoe Riverview Cabins are nestled high in a bluff four hundred feet above the amazing Arkansas White River and Inspiration Valley. This resort offers six affordable luxury cabins and two vacation resort homes provide a great location for your family vacation, family reunions, corporate retreats, weddings and romantic getaways. Enjoy nature at its best by watching beautiful sunsets on the river from your private deck nestled among Oak, Pine, Dogwood and Redbud trees along with beautiful rock bluffs. Time flies when you are having fun, and boy, we’re having fun in Northwest Arkansas! It was just a few years ago when Bikes Blues and BBQ didn’t even have a name; it was just a poker run with a BBQ grill, a blues band, and a handful of bikes at a Dickson Street Mexican restaurant (Jose’s, of course). Then it became America’s fastest growing rally, and then the world’s largest charity rally, and now suddenly, it’s been 15 years. What a ride, in every possible way. So, let’s celebrate that milestone the only way we know how – with the biggest party in this part of the country. As always, we’ll have free live music every day and night, the Stokes Air Bike Show, The BBB Car Show, stunt teams, The Russ Brown Motorcycle Attorneys “Miss BBB Contest” and “Blues Train”, the Arkansas State KCBS State BBQ Championship, Hambone Express Pig Races, the BBB Karaoke Contest, factory demo rides, hundreds of vendors, and so much more. The fact is, you’ll run out of time before you run out of things to do. But the real attraction of the rally is the multitude of great bike roads in the Ozarks region. No matter which direction you travel, you’ll find winding blue highways through spectacular scenery. Rivers, lakes, bluffs, picturesque towns, and we don’t have much in the way of straight roads. 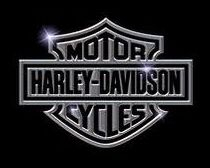 Everywhere you go, you’ll meet the friendliest people in the world, eat the best food in the world, love the rides, and have one of the best times of your life. 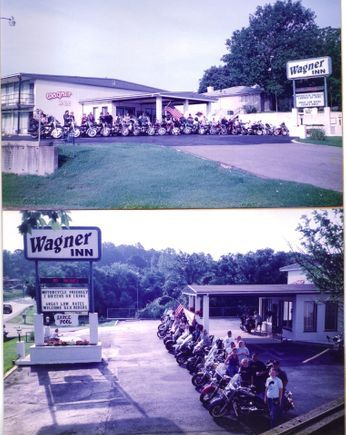 So, mark the dates, Sept. 23-26, make your reservations Wagner Inn 479-363-6449 , and come join us for the best BBB ever!